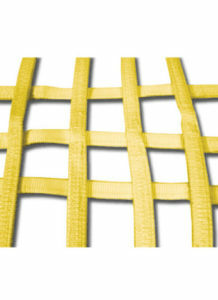 Made to order nets for buoys, military equipment, vehicles, cargo, pallets or aerospace. A must for all sawmills. 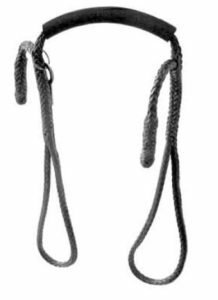 These slings are made with 4” polyester webbing that’s specially treated for abrasion resistance and a steel triangle sewn into one end. Choose a length that fits your application. Ideal for handling polished granite, marble blocks and concrete panels. 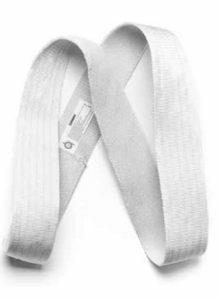 Slings are made with white, untreated nylon webbing that won’t rub off on stone. 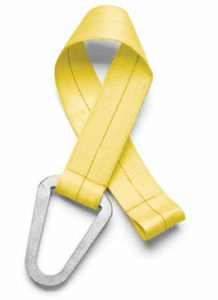 The webbing features a special facing of soft, abrasion resistant fabric woven on one side. Also available with Neoprene coating for extra abrasion resistance, giving the sling more grip when handling wet stone. Hauling heavy 55-gallon drums has never been easier. Just slip the 1/4” diameter binder assembly down the sides of the drum, latch the binder firmly below the drum’s first rib and lift. No toppling or heavy shoving required. 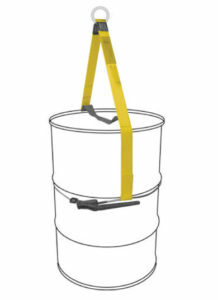 Drum Tote can lift up to 1,000 lbs. and is adjustable to varying 55-gallon drum diameters. 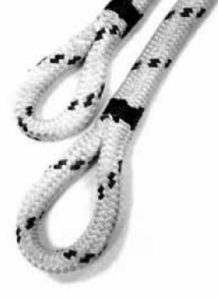 Custom spliced, single or double braided high-modulus performance rope.